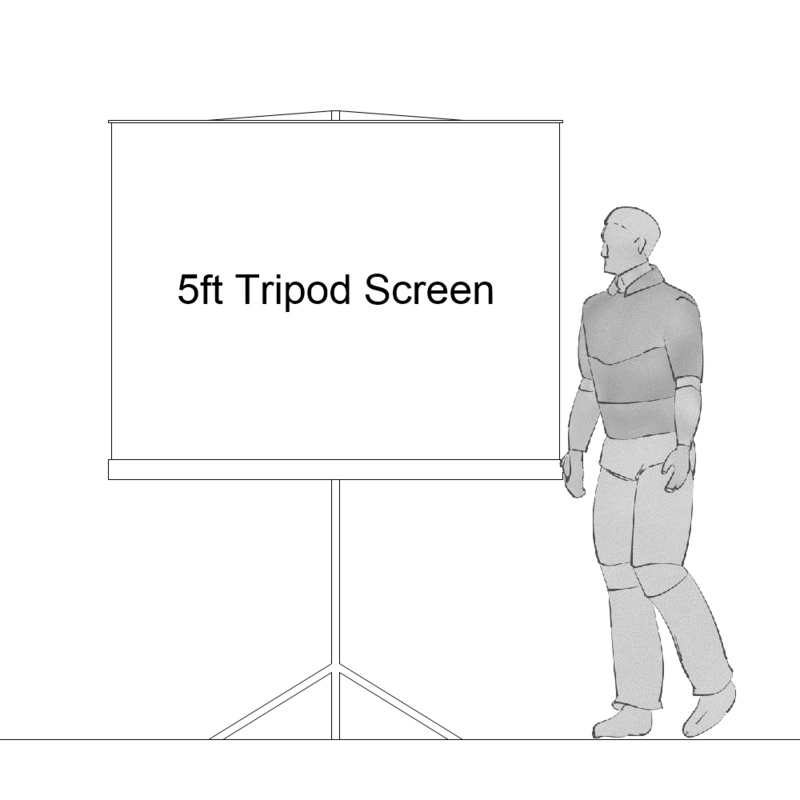 We have a large range of screens for hire. 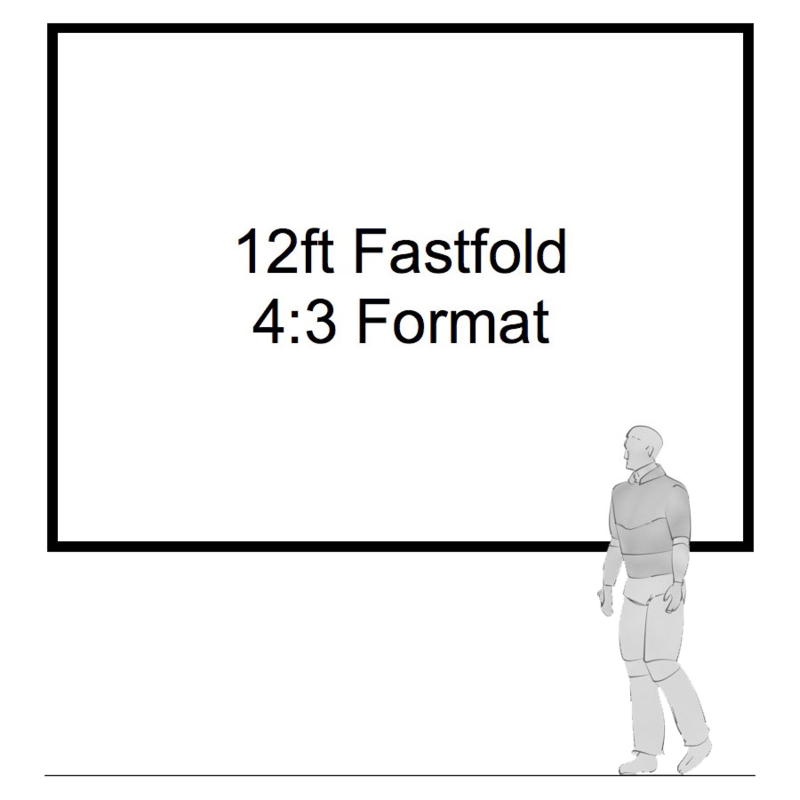 Projector screens start from 5ft wide and go much bigger. 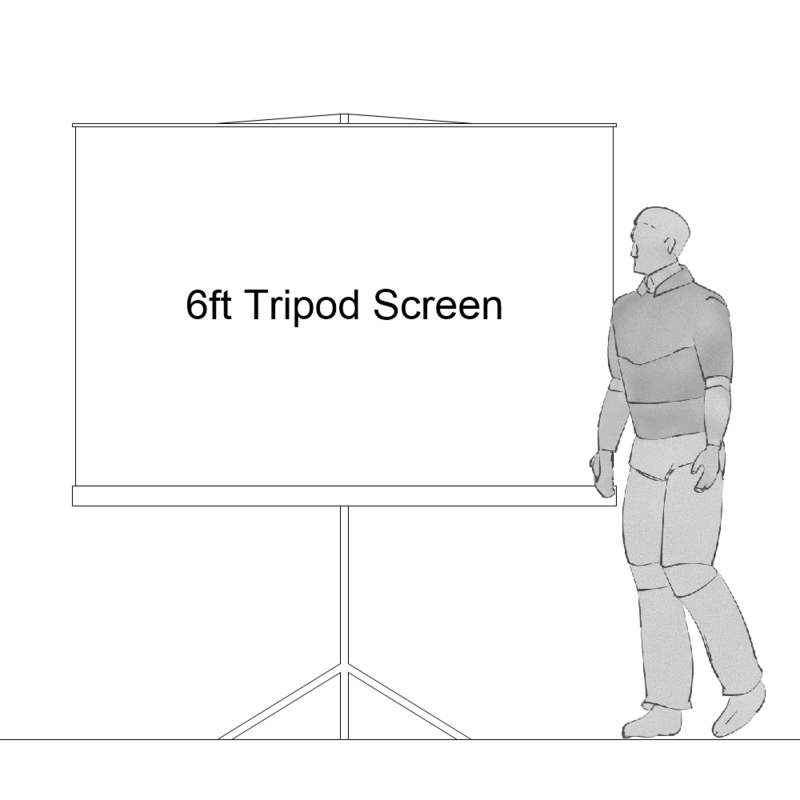 Most of our projection screens come with a choice of front projection or rear projection screen surfaces. Whether you need a LED display for an exhibition or a projection screen for an audience of 1000. 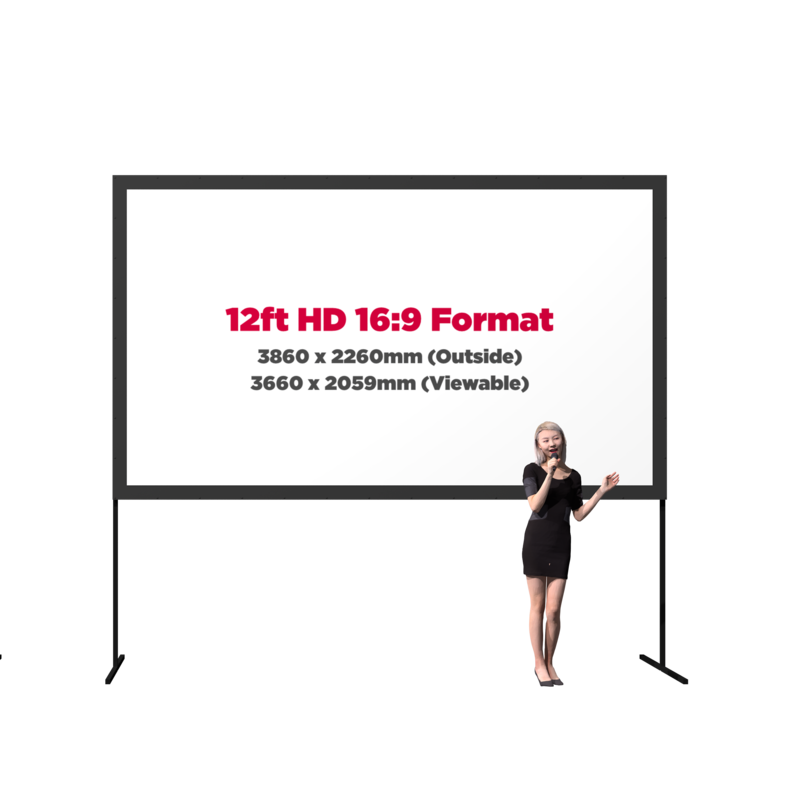 If you need help deciding which screen is most suitable for your need please give us a call and we would be happy to discuss the options. 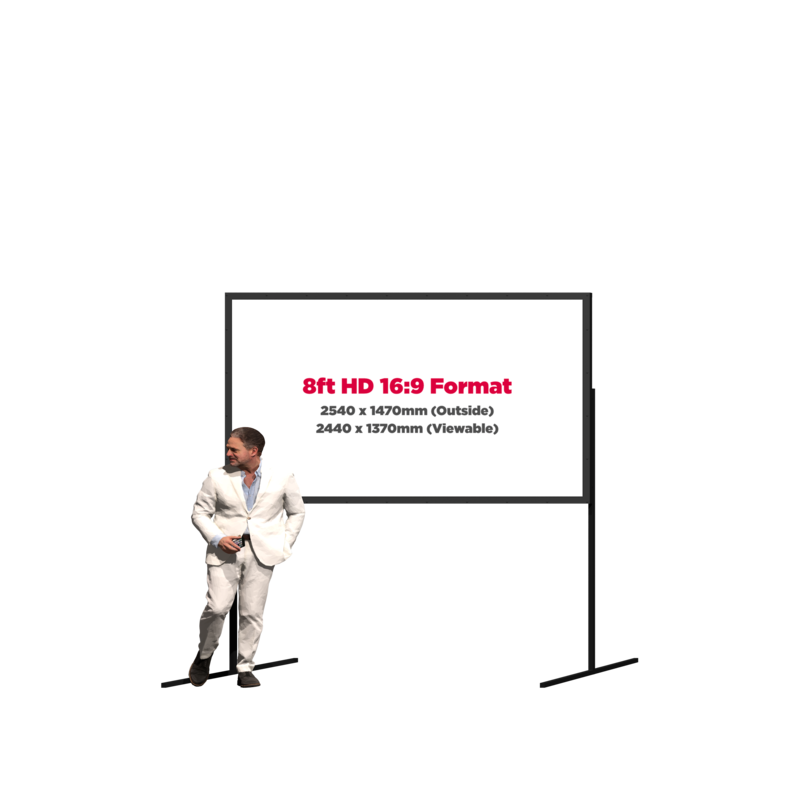 Our HD format screens are made by AV Stumpfl and use a 32mm box section aluminium. The corner sections are hinged and click into place and the rest of the screen frame slots easily together to form a rigid framework. As the frame slots together there are no hinges, catches or obtrusions sticking out around the frame. This makes it easy to build into stage sets and achieve a neat finish. 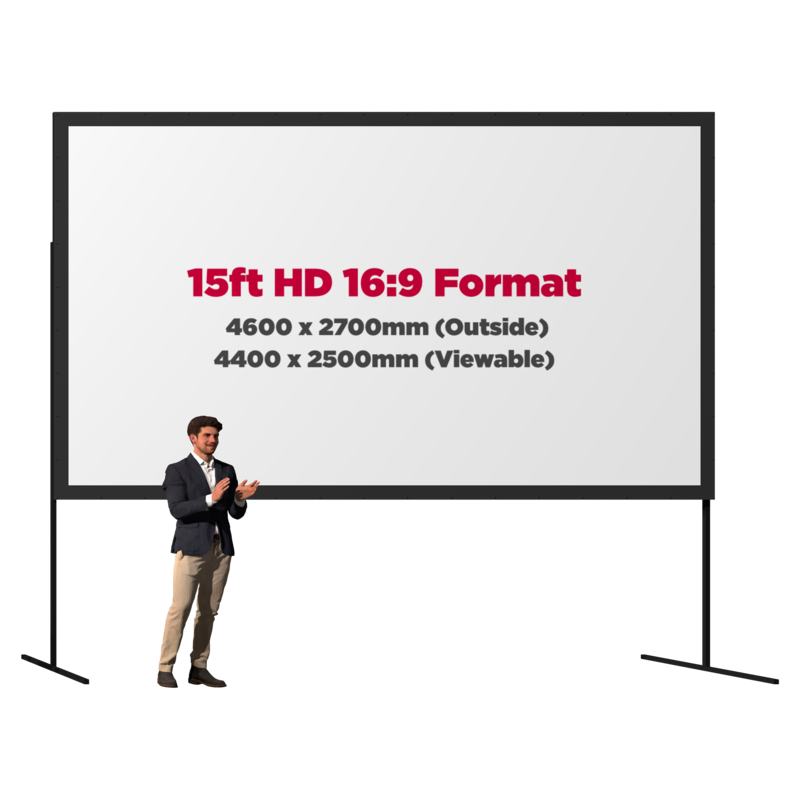 These HD format screens are supplied with both front projection and rear projection screen surfaces that attach to the frame by press studs. 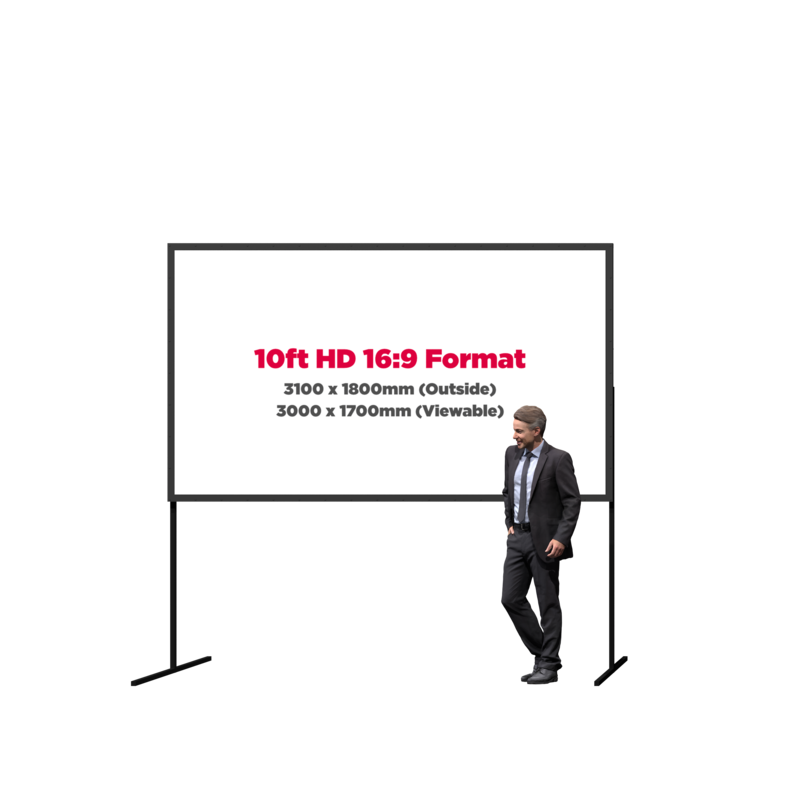 The 8ft and 10ft HD projector screens have a 50mm wide black border whereas the larger screens have a 100mm black border. All of these screens are supplied with legs so can be used freestanding. We also have available special screen flying brackets that clamp around the top edge of the screen frame and provide a fixed flying ring. 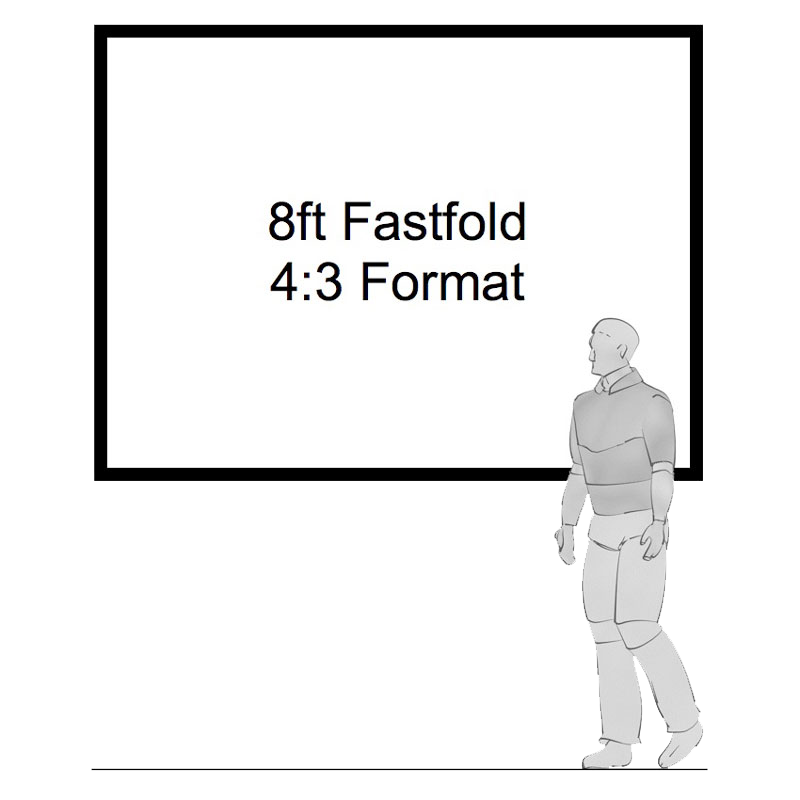 Fastfold projection screens are a convenient way to build large projection screens. 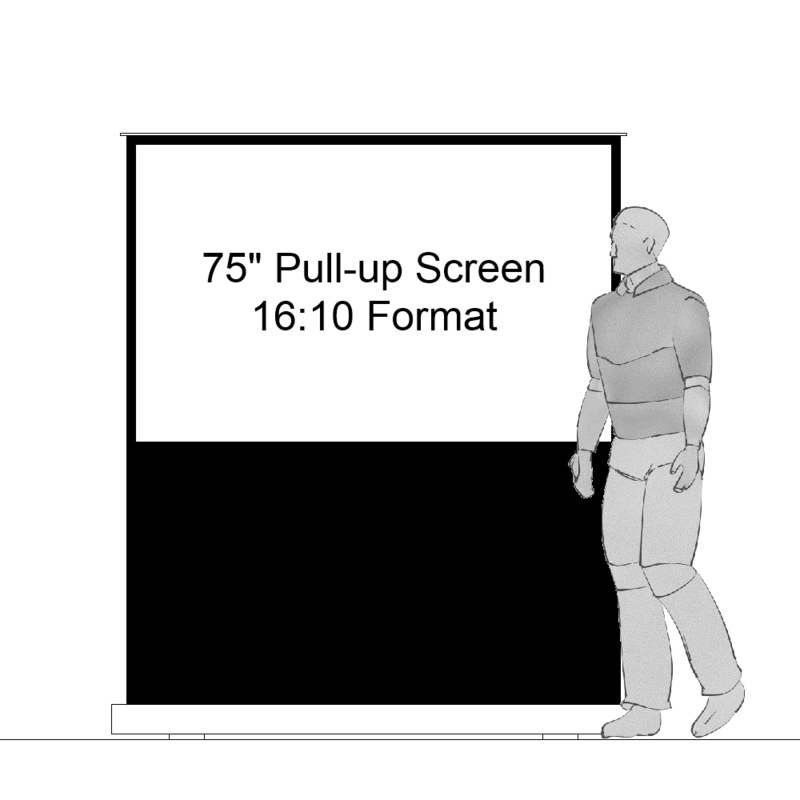 The one-piece frame unfolds and clicks into place to build a rigid framework to which the projection screen surface is attached. 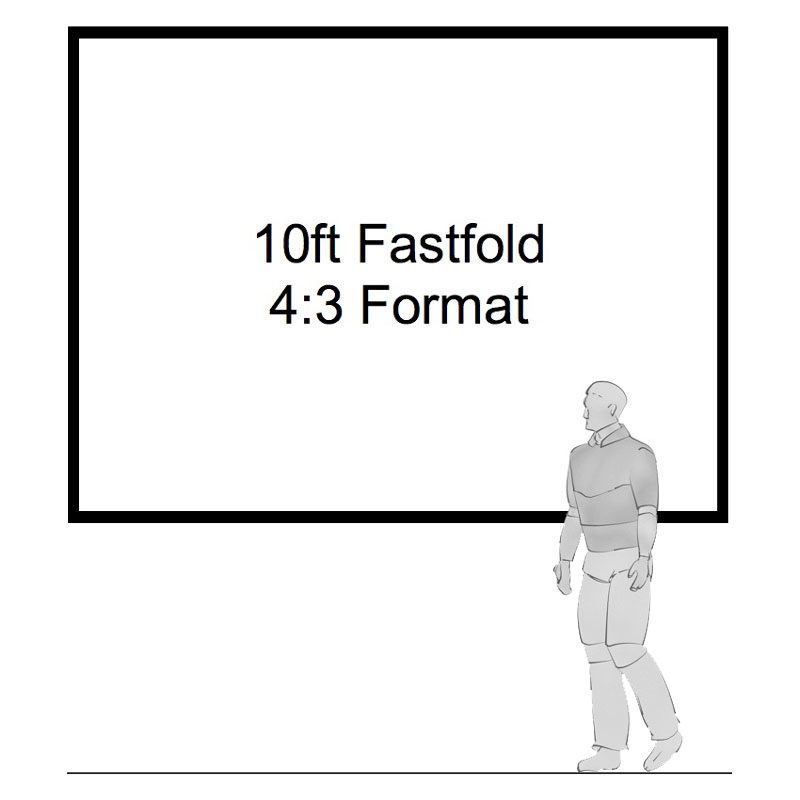 All of the fastfold screens have a 50mm black border and come with a choice of front or rear projection screens surfaces. 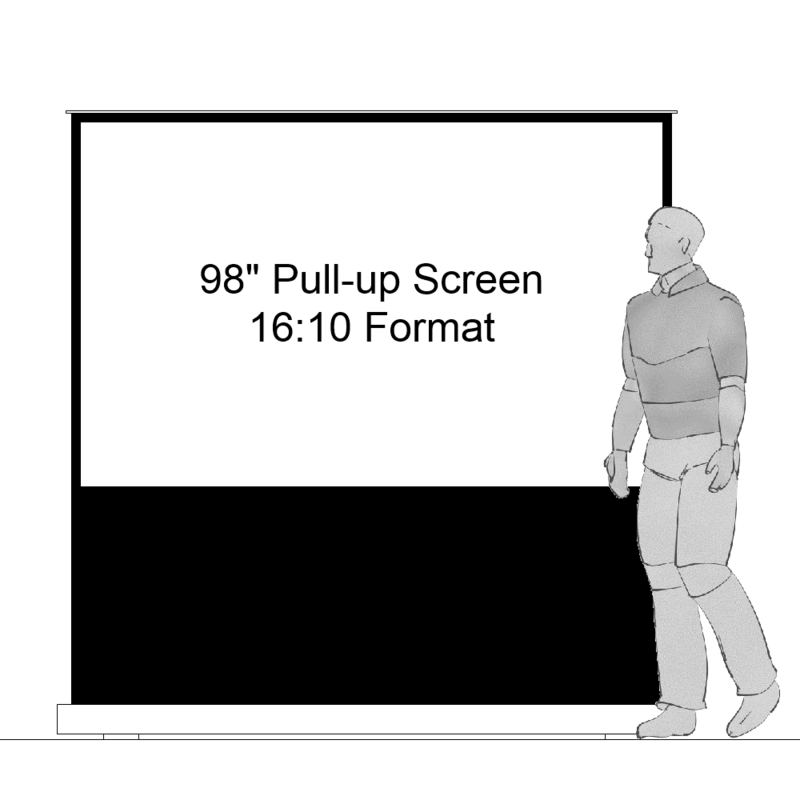 The screens are supplied with legs that attach to the sides of the screen frame allowing the projection screen to be used free-standing. 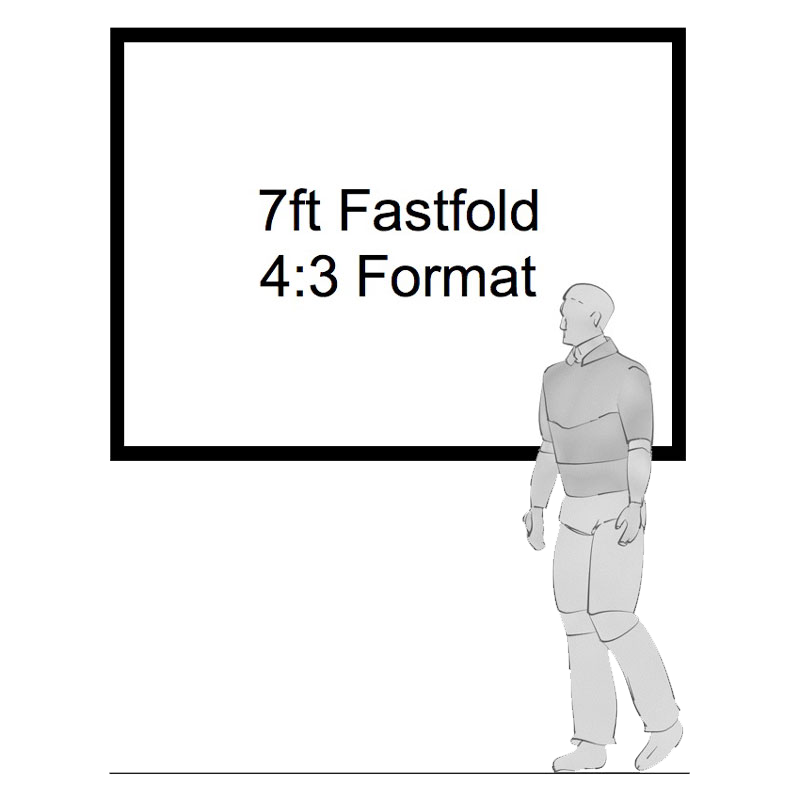 The overall height of the screen can be adjusted in 6″ increments by moving the position where the legs attach to the screen frame. 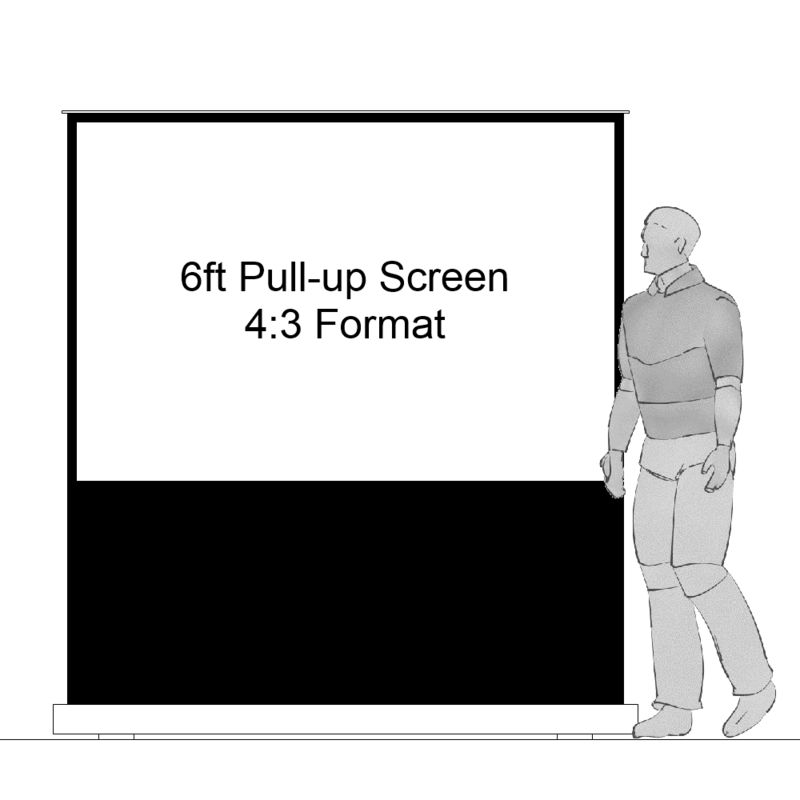 These screens are ideal for meetings, seminars and small conferences. They roll up into a tube shape and are supplied in a padded bag so are easily portable. 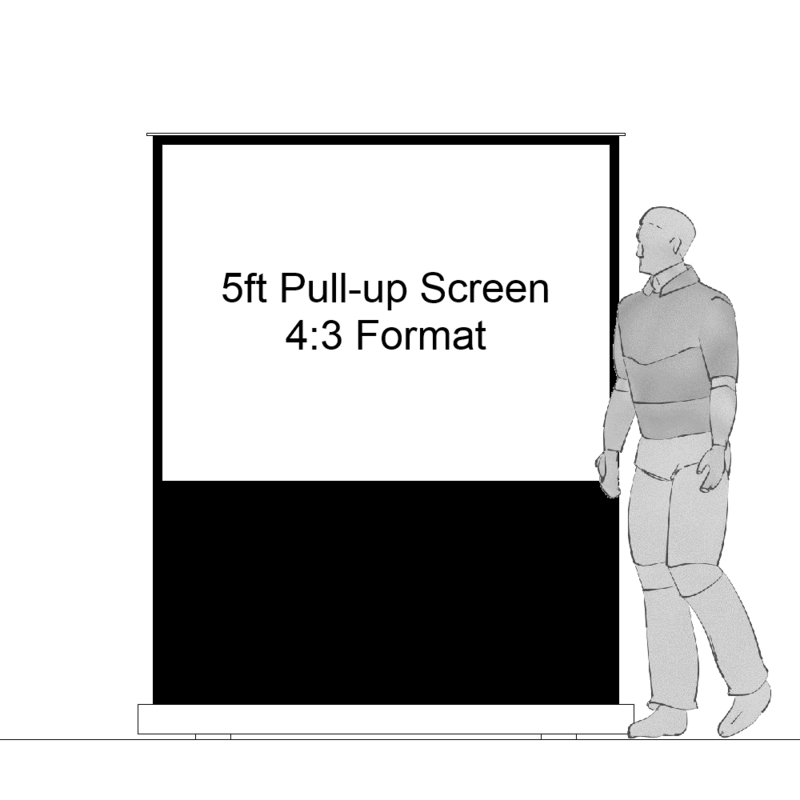 The pull-up screens have a cassette on the floor and the screen surface unrolls from the cassette.  The screen has a black border and the area between the bottom of the screen and the floor is also black giving it a professional look.